After facing criticism for its failure to warn fishermen at sea during Cyclone Ockhi, the State government plans to use shortwave radio broadcasts to provide vital information. Click here to read the full article at The Hundu online. This entry was posted in News, Shortwave Radio and tagged shortwave, The Hindu, Weather, Weather Radio on March 1, 2018 by Thomas. Many thanks to SWLing Post reader, Mark Fahey, who has shared this special recording: a shortwave relay of the ABC Far North radio service. 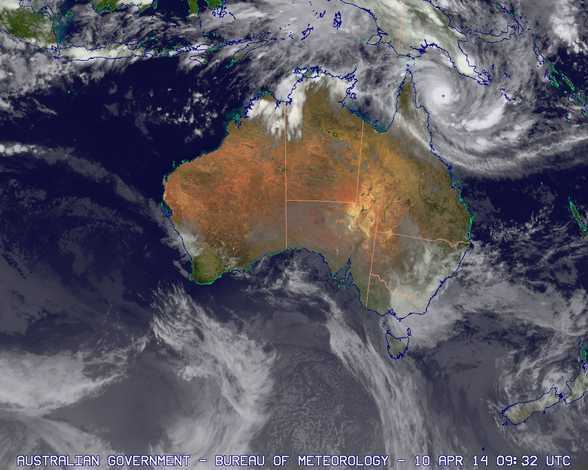 “ABC Radio (Australian Broadcasting Corporation) Far North (Queensland, Australia) Emergency Broadcast Service during the period that Severe Tropical Cyclone was making landfall in Australia’s Far North Queensland region. This capture of the shortwave broadcast was made near Sydney, Australia on 6.15MHz at 2119 Queensland Time (1119 UTC) on the 11th April 2014. The broadcast was being transmitted via a re-purposed Radio Australia transmitter in Shepperton, Victoria. Click here to download this recording as an MP3, or simply listen via the embedded player below. Note that this broadcast has also been added to the Shortwave Radio Audio Archive—please subscribe to our podcast to receive future recordings automatically. This entry was posted in Broadcasters, Current Events, News, Recordings, What's On Shortwave and tagged ABC Far North, ABC National, Australian Broadcasting Corporation, Emergency Broadcast Service, Emergency Broadcasts, Mark Fahey, Relays, Shepparton, Weather on April 12, 2014 by Thomas.